As we rebuild our programs, Medo is focused on implementing our new English program. Community members are full of ideas, including aiding the health clinic, developing a botanical garden, and establishing a library. If interested, volunteers are also encouraged to get involved with initiatives beyond ESL and tourism. Please bring your ideas, creativity, and energy to Soloy! We look forward to getting to know you and working alongside you. 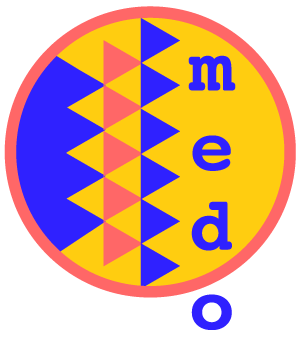 Medo recruits English language teachers to aid in elementary schools Escuela Buen Pastor and Escuela Bahá’í and to offer dynamic classes to teens and adults in the community, following Medo’s new 12-month curriculum. English is the second official language of Panama. English studies offer Soloy community members the chance to pursue continuing education after high school, advance local tourism, and improve their employment opportunities. While native English speakers are preferred, advanced-level speakers who are proficient in English language instruction are also encouraged to help with our program. We request that volunteers stay for a minimum of four weeks to maintain the curriculum’s continuity, but we always appreciate volunteers who are able to serve for three or more months. Volunteers should be flexible, independent, resourceful, and patient. *Spanish fluency is not required, but basic survival Spanish goes a long way! Medo collaborates with Comarca tourism. Volunteers work with host families and community leaders to advance the eco-tourism program and draw more visitors to Soloy. Volunteers are also invited to experience all that Soloy has to offer, including a visit to Panama’s highest waterfall, Sendero Chorro de Kiki, located in the Comarca; nature hikes; and cultural activities. Volunteers interested in tourism development are encouraged to bring their own camera. Photography skills are a plus.